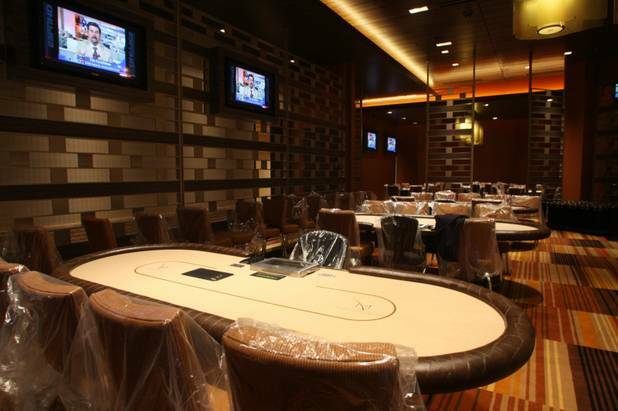 VEGAS INC – The M Resort has closed its poker room to make space for a new slot tournament area. The resort previously held its slot tournaments in a conference-style ballroom, but players were unhappy with the lack of space, according to Rina Foster, an M Resort spokeswoman. The players “demanded” the change, Foster said. M Resort’s monthly invitational tournaments average 800 guests between video poker and reel games, and the next slot tournament is scheduled for the end of August. The new slots area will open next month, but it’s unclear what it will look like or how many slots the area will offer. While officials have no plans to reopen the poker room, the resort will continue to host poker tournaments and events in the future. The next poker tournament is the second-annual Hollywood Poker Open Championship, operated by Penn National Gaming and slated for June 2014. The last Hollywood Poker open generated $1.4 million, attracting more than 600 players. Maybe if they were closer to the strip they’d get more action.